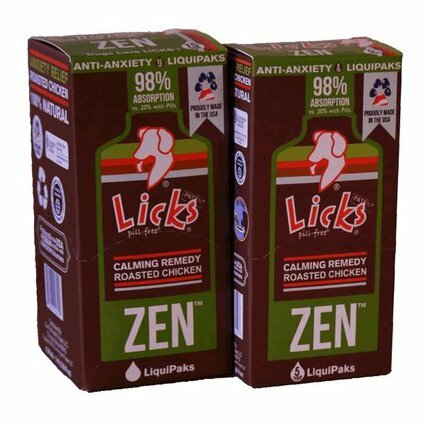 LICKS Zen provides support in times of environmentally induced stress such as house guests, thunderstorms, fireworks, travel, vet visits, kennels, or shelters. Zen helps to promote calmness and behavior management. Directions for Use: Administer Direct to Mouth or in a Separate Bowl. Requires 30-60 minutes to activate. Works best on an empty stomach. Repeat as needed every 4-6 hours. Safe to double or triple dosage during times of profound stress. Refrigerate to thicken gel.